Posted May 29th, 2018 & filed under Full Truckload. 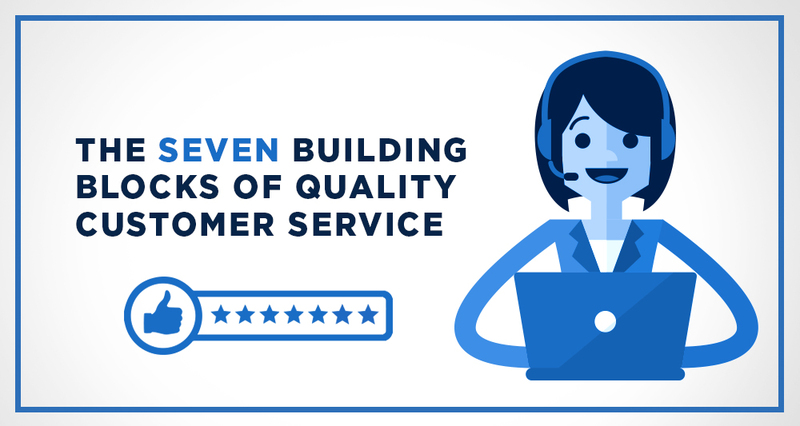 Apply these seven attributes of quality customer service to ensure a pleasant experience for your customers, even when the inevitable happens. There is a need to really listen to what the customer is communicating. When interacting with your customers, pay close attention and try to relate to them. Initiate a conversation that allows you to find out what a customer’s pain points are, then provide a solution. If you have good news, deliver it quickly. If you have bad news, you better make it urgent. Don’t be afraid to have the tough conversations. This is the killer of success. We all get caught in the whirlwind on a daily basis. The best way to avoid this is to have our day planned out. Allocate time each day to following-up or researching a customer. Dedicating a portion of your day to your customers will always pay off. When talking to a customer, be like a chameleon. Have a calming demeanor and be open to recommendations. Curveballs will get thrown your way, so be prepared. Knowing how to handle a surprise and adapt to a scenario can drastically impact your relationship. Let the customer know that you are at the helm of the situation and will take care of things. In the sales profession, somebody is always buying. The customer is either buying what you’re selling or you’re buying their excuse for not doing business. Focus on needs-based selling to overcome objections. The Feel, Felt, Found method works great in this situation. “I can relate to how you FEEL. When l had this same thing occur last month, I FELT the same way, but what I FOUND after doing a little more research was…” Your customer will appreciate that you’ve thought their position through. This is probably the most important point in having a long-term customer. Many people underestimate the importance of having a solid relationship with their customers. It takes time and you have to prove yourself. Get in the habit of under-promising and over-delivering. You’ll be very rare in this industry, and in life, if you are a person that actually does what they say they’re going to do. Your reputation is everything, so plan accordingly. The England Logistics Full Truckload division offers a range of services for companies of all sizes. Dedicated team members are available day and night to offer solutions and assistance with all logistical needs. Regardless of the transportation mode, our market and seasonal specialists provide flexible shipping solutions and are committed to help every step of the way.